Happy crazy holidays upcoming! Yes, in chronological order: Thanksgiving, Black Friday & Cyber Monday. For me this is such an exciting and rushing time to hunt down all the deals. It takes a lot of time and googling skill, you can tell. So here in this blog post, I try to collect and list all drupal related deals I could find. Some of them aren’t exactly holiday sales, but it doesn’t hurt knowing promotions currently running right? Also you can get to know more Drupal theme & service providers, in case it tires you visiting us only. 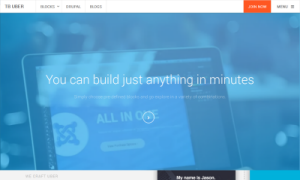 Here comes a whole new premium Drupal theme for November - TB Mitius. TB Mitius is designed as a game magazine template. 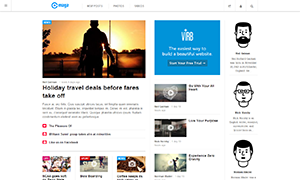 However you can easily make use of its responsive and versatile design for your online news, blog or corporate site. Don't you love niche themes? Well we do. 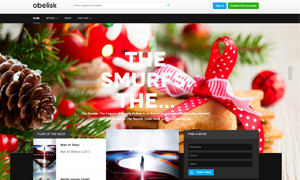 We have a set of niche premium Drupal themes ranging from fashion (TB Methys II), education (TB University) to news (TB Nex).